Introducing a comprehensive range of Jack-Up Oil Rig. These rigs offer optimum power to hoist and rotate through their load sensing hydraulic systems. To keep the rig balanced, we have provided this product with adjustable legs. This rig is valued in the market for its minimum maintenance and easy portability. 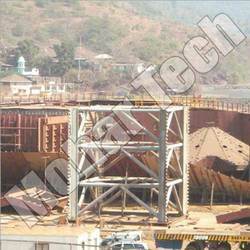 Owing to growing and increasing requirements of customers, we are offering a large range of Jack-Up Barge. This Jack-Up Barge is used as construction platform and has long lasting life. The Jack-Up Barge we offer is provided as per the needs of the clients and at affordable rates. 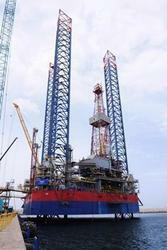 We have carried out numbers of Jack-Up Rigs Projects for Detailed .